Throughout the late summer and early fall, I had opportunity to review several recordings of worship services at which I served as an assembly song leader from the keyboard. Many of these recordings were made during the 2018 Lutheran Summer Music Academy and Festival at Valparaiso University; in other instances, I reviewed livestream recordings from congregations where I had served as a substitute. Hearing these was an excruciating, yet enlightening experience: seemingly catastrophic moments—a sloppy phrase lift here, a wrong pedal note there—were barely noticeable while, on the other hand, what I thought had been suitable tempi and registrations seemed to inappropriately drag, rush, screech, or mumble. These cringeworthy moments have reminded me not only of the value of recording oneself during practice or services, but also of the need to return, time and again, to the fundamental skills of one’s craft. Leading assembly song is never routine, nor is it ever “business as usual.” As Paul Manz once advised, “I can never know the hymns too well.” Though written from the perspective of a keyboardist, the following brief paragraphs hopefully offer both encouragement and strategies for the first and foremost task of all church musicians regardless of instrument, style, or context: to lead assembly song. Leading a singing assembly is an extraordinary feat of multitasking: one simultaneously leads, accompanies, follows, adapts, proclaims, preaches, interprets, performs, listens, orchestrates, and much more. As Paul Westermeyer has observed, to lead well is to eventually become unnecessary. During just one hymn or over the span of several services, a capable leader helps the assembly to recognize and cherish its own distinct voice. Musicians may offer guideposts (when to breathe, when to sing) and supporting frameworks (rhythm, harmony), but the principal instrument is always the voice of the gathered assembly. What are these stanzas about? Who is doing what for whom? Why? Do any stanzas differ in character or sentiment from the others? When and where will this be sung? What is the liturgical context? Cultural context? What do these words have the power to do in this time and place? Where are the syllabic stresses? Important nouns? Active verbs? Notable metaphors? Do the poetry and syntax have a rhythm that is independent of the melody? What is the underlying tactus, or pulse, of the music? If a hymn has four quarter notes per measure, does it make sense to feel a pulse for each quarter note, each half note, or even each whole note? Sing the text with a metronome set to this tactus. Where might you need to shorten a printed value to accommodate a breath at a mid-phrase comma? If you were instructing percussionists to help lead this hymn, on what beats would they play? Where would you instruct the choir to place proper syllabic stress? How do these considerations “translate” into other specific leadership techniques at your instrument? Does the introduction clearly establish both tempo and key? Does it inspire the assembly to sing? Does the timing in between stanzas first signal a breath—what David Cherwien calls an “all-limbs-off-the-keyboard-silence”—and then give space for that breath to happen in the tempo of the hymn? Do the registrations and harmonies support the syntax and sentiment of the text? Can you hear the assembly above the organ, piano, or ensemble? Does this have to do with microphone placement, the volume of the accompaniment, or combination of both? How would you describe the timbre? Is there a clear balance? Does a certain organ stop or instrument distort the balance of the ensemble? Is there need for more foundation and less upperwork, or perhaps vice versa? Does the pedal or bass provide both harmonic support and rhythmic impetus? Is the singing uninhibited? Are there any awkward moments when it seems as if nobody’s sure of what to do? If so, stop! Examine them. What’s causing that awkwardness? What can you do to lessen the assembly’s trepidation and increase its confidence? Baker-Trinity, Jennifer, Scott C. Weidler, and Robert Buckley Farlee, eds. Musicians Guide to Evangelical Lutheran Worship. Minneapolis: Augsburg Fortress, 2007. Brillhart, Jeffrey. Breaking Free: Finding a Personal Language for Organ Improvisation Through Twentieth-Century French Improvisation Techniques. Colfax, North Carolina: Wayne Leupold Editions, 2011. Cherwien, David M. Let the People Sing: A Keyboardist’s Creative and Practical Guide to Engaging God’s People in Meaningful Song. St. Louis: Concordia Publishing House, 1997. Farlee, Robert Buckley, ed. Leading the Church’s Song. Minneapolis: Augsburg Fortress, 1998. Forster, Stuart. Hymn Playing: A Modern Colloquium. St. Louis: MorningStar Music Publishers, 2013. Gray, Scotty. Hermeneutics of Hymnody: A Comprehensive and Integrated Approach to Understanding Hymns. Macon, Georgia: Smyth and Helwys, 2015. Hancock, Gerre. Improvising: How to Master the Art. New York: Oxford University Press, 1994. 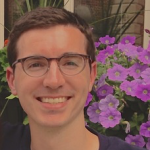 Chad Fothergill is a graduate student at Temple University, Philadelphia, where he researches the Lutheran cantor tradition in both its Reformation-era and present-day contexts. Outside of coursework and research, he is active as a substitute church musician in the greater Philadelphia and New York City metropolitan areas. He has served congregations and campus ministries in Minnesota, Iowa, and Pennsylvania.